Local Heroes commissioned Warriors Studio to design a contemporary interpretation of a classic souvenir poster. 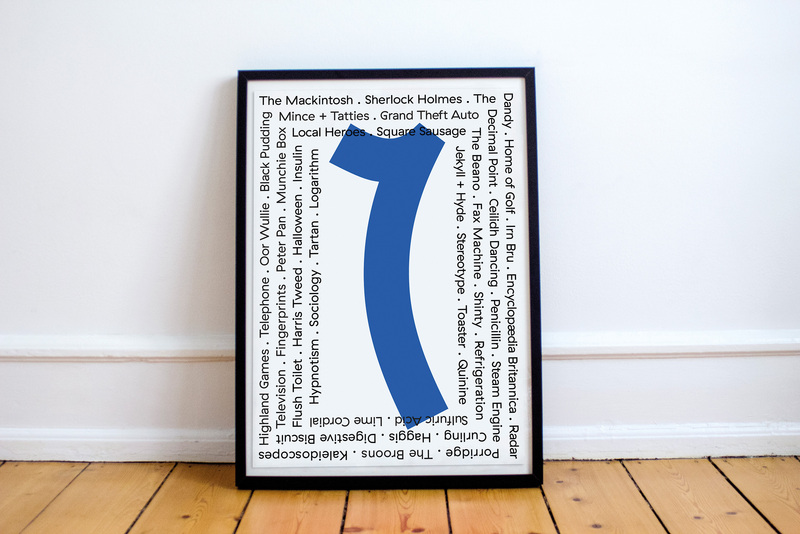 Nummer Wans is a way to say ‘number ones’ in west coast Scottish dialect, the poster champions Scottish inventions, discoveries, innovation and design. The studio’s founders, James Gilchrist and Beth Wilson worked together to celebrate something unique to Scotland “aside from the rolling hills, friendly people and volatile weather”. Their design responds to VisitScotland’s key message about the Year of Innovation, Architecture and Design 2016. Warriors Studio is a graphic and communication design agency  working with companies, organisations and individuals across the cultural, private and public sectors. 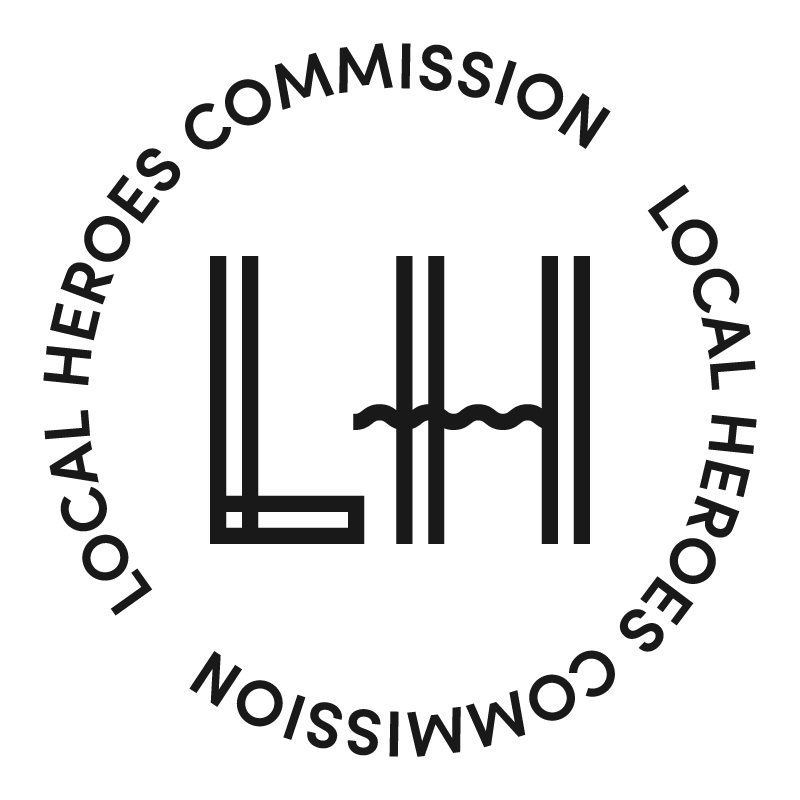 The studio works locally and internationally with clients including Warner Music, Urban Outfitters, ICON Magazine, TEDx and the British Council. Their work has been featured by STV News, It’s Nice That, Creative Review, Grafik, Computer Arts, The Drum, ICON Magazine, Étapes and  the  American Institute for Graphic Arts. The studio was founded by James Gilchrist and Beth Wilson through a shared passion for powerful communication and design and was most recently joined by Victoria Donnelly, an Edinburgh College of Art graduate, who brings fresh ideas and colourful shirts to the mix. In 2014, Warriors also founded Graphic Design Festival Scotland, an international programme of events, which they run annually. Graphic Design Festival Scotland is the largest event ever hosted at Scotland’s National Centre for Design and Architecture, The Lighthouse and Gilchrist and Wilson proudly represent Scotland through a global co-operative at the International Centre of Graphic Design.